We facilitated a series of workshops for the Brussels office of an international NGO that promotes sustainable development and the protection of the world’s resources. At the start of the first workshop, we asked participants to bring back something from nature that would reflect a topic they wanted to explore during the workshop. 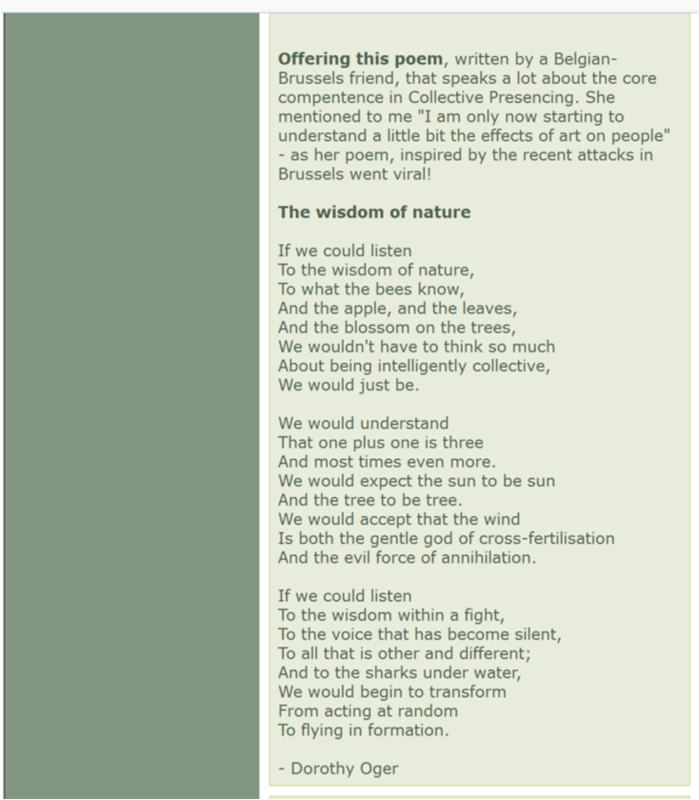 I was inspired by the beautiful stories and metaphors that emerged from this check in round and started writing the poem “The Wisdom of Nature”. It was completed the morning after. And most times even more. And the tree to be tree. And the evil force of annihilation.